Smoking has a detrimental effect on all human organs, but especially from tobacco smoke affects the lungs. Acrid smoke leads to infections and lung cancer. 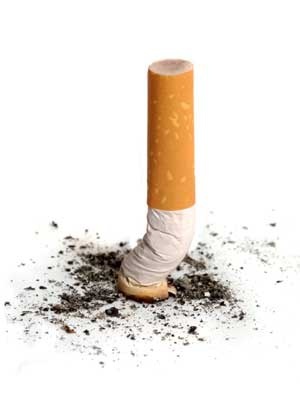 Many people getting rid of addictions to smoke, in the first weeks relieved breath. But clearing the lungs – quite a long and complicated process. First, you need to avoid passive Smoking. Stay away from smokers, otherwise you will be hard to completely empty your lungs from the effects of cigarette smoke. After the cessation of Smoking is very useful vegetables and fruits. Eating 4-5 servings of fruits and vegetables daily, ex-smokers saturate your body with antioxidants that help to clean and heal the affected lungs. In the first few months after you quit Smoking, drink plenty of water – at least 2.5 liters a day. The body will clear the lungs of accumulated tar, creating a lot of mucus. But this would require a large amount of fluid. Household dust, mold irritate the lungs and can prevent their recovery. So keep in your home. It is often necessary to carry out wet cleaning, washing Windows, wipe the dust. Make sure that the house was not damp, and do not become mouldy. To restore lungs after Smoking can help air purifier installed in your home. It will purify the air from dust, allergens, smoke and household contaminants. To heal the body and restore the light, ex-smoker needed activity and exercise. To cleanse the lungs is the most suitable sport with aerobic load, such as running. But need to run, starting at a slow pace for short distances to avoid feelings of discomfort. Gradually increase the load. To clean lungs from effects of Smoking you must perform special exercises. Here is one such breathing exercise: inhale deeply, hold your breath for 5-6 seconds. Purse your lips and forcefully exhale through them a little air. For a second, stop the breath, holding the air. Then force out another portion of the air, and so on until you exhale all the air. If your experience of Smoking is great, and lungs are badly clogged, breathing and cleansing exercises should be done three times a day.